Dr Neoh Chin Boon is one of the photographers contributing to the Birding in Malaysia image database. Not only does he take pictures of birds, he also started painting them, as a therapeutic activity, when he was battling cancer. Read more about the background in this STAR article. From 4 February until 22 February, about 190 of his paintings are up for sale in a solo charity art exhibition. The aim is to raise funds for the Mount Miriam Cancer Hospital. Venue is the Galeri Seni Mutiara in Penang, opening times 11am to 6pm. More information about the exhibition can be found on Dr Neoh's FB page. Like to test your ID skills? In the FUN section of the menu a quiz has been added to test you skills. See the menu or click here. 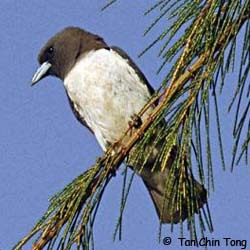 At the moment the image database consists of 1729 pictures of 508 Malaysian bird species. All pictures have been taken on Malaysian territory by 48 photographers! Click here to see the most recent additions to the database.